I feel like it's telling a story that we're all supposed to know, but somehow don't. I actually like their program, it stands out. Oh, that's interesting. I scrolled down the wiki and apparently this conflict actually had a fight known as 'The Battle On The Ice" that took place on a frozen lake. So this program is a literal interpretation of the theme. I can't stay up for this, but wishing the best to all competitors, but especially Peng/Jin. Jiayo!! P/K - very juniorish in their presentation. Quality problems on sbs solo jump but clean. Nice twist and death spiral. Good throws. Good performance. They look pleased but not excited. 125.57 - season's best. 186.81 total. The glitter thong is so distracting. Lot of speed into big twist but not the most elegant catch. Camera cut away from Vanessa on sbs combo but I think it was clean. sbs 3 salchow clean and good unison. Good first lift. Nice pair spin - traveling but suits music really well and nice positions. Clean throw flip. Nice carry lift - lol, using her booty as a handle. Another great lift and nice transitions. Forward on throw 3 salchow. Nice death spiral. Another beautiful lift to end the program. I don't normally like them much but this performance was phenomenal. More polished than I've ever seen them. She looks like she's about to cry. John Zimmerman looking hot in K&C. 148.37. 1 point deduction - what did I miss? Lol, looks like I'm talking to myself so I'll just keep editing this post I guess. The glitter thong is so distracting. Can I just say, given what the word thong means in Australia, the mental picture you gave me was even more distracting??? These costumes are worse than their SP ones. She doubles sbs salchow. Good twist. No interpretation of the music at all. Fall on throw 3 loop. ugly entry to death spiral but good. Fall on sbs jump combo. Whoa someone else is here after all! Woops, missed part of their program. She has a horrible wedgie on that lift. Intros for second group. Such attractive couples. Nice costumes. They look elegant. Glad to see them in a style that suits them. Lot of speed. steps into huge triple twist - perfect. Nice sbs 3 salchow. He singled first toeloop of 3 jump combo. Lovely choreography. Fall on huge throw flip. Good lift - maybe a little slow. The sit in chair entry to death spiral but nice. Good pair spin - minor traveling very last second. Enormous throw 3 loop - textbook landing. Great speed on lifts. They look disappointed - she looks like she's on the verge of tears. I dunno - I thought it was great even with the mistakes. Fabulous quality on the elements they landed. There's something about them that looks like champions - if only they could get their brains wrapped around it. 140.16. Total is 214.2. 2nd place. He has a presence that screams masculine. A little clumsy on catch of big twist but clean. Good sbs combo. She falls on sbs 3s. A little slow on first position of pair spin but otherwise nice. Forward on throw 3f but clean. Solid lift. Lot of speed into solid throw 3 loop. Weird no go into lift - did it after but invalidated. low death spiral. Such a huge improvement from that awful ballet program last year. Still not the most polished but more dynamic this year. 125.89. 201.07 - 3rd in free and overall. Cautious into sbs 2 salchow. She had a weak landing on 3t/2t combo but clean. Good smooth twist. Skating through the music so far. Good throw 3 loop . Good death spiral. Not much expression. Nice choreo section - lovely soft arms. Good throw 3s. Good lift. Ok pair spin. Good speed and exit on that lift. Strong ending. oops. sorry, forgot to re-edit my previous post again. Man, it's a ghost town round these parts. Everyone partying up on their Saturday night? Gawds, I feel old. I remember when they were the young up and coming team and people complained about him spear chucking her. Can't believe Hao Zhang is still competing! Watching live. Vanessa and Morgan had such a presence on the ice. They just looked good skating around. Peng/Jin had a ton of crowd support. Both of the team's got a standing/half standing ovation. Tarasova and Moronov had great presence on ice too. They just look elegant skating together. I will say this though, watching GPF live in the arena. I also got blessed with a high seating area with near aerial view of the rink. 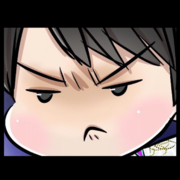 For SP: you did not want to skate after the clean Peng/Jin. That brought the arena to a high that no one remembers your programs after that program. For LP: you did not want to skate after the clean James/ Cipres. They have a certain presence and there were moments in the choreography, where he just holds her rock still, which accents the music. It wasn't the happy, lively presence of Peng/Jin from short, but a very dominating one, that I think just blew every other team's programs out of your memory.